Unite is passionate about ensuring that all its members regardless of race or gender throughout all its sectors are not discriminated in the workplace. This commitment is demonstrated by the work that Unite is undertaking in sectors such as construction, where women are currently very much a minority of the workforce. To better understand the challenges that women experience in construction, Unite recently surveyed our female members working in the sector. The response rate was phenomenal and provided vital insights into the working lives of women in construction. The majority of respondents (65.3 per cent) said their employer had failed to make adjustments to accommodate their needs as women workers. Aside from issues about pay equality, the dominant concern that arose from the survey concerned welfare facilities: the lack of clean toilets, the supply of sanitary bins and shower facilities. Unite has been running a period dignity campaign across the whole union. The campaign is about period poverty because some workers struggle to pay for sanitary products. 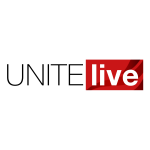 Unite’s campaign has been very successful with many organisations adopting it. Our survey clearly demonstrated that for period dignity to be achieved for women construction workers the campaign needed to be more wide ranging. Unite is now asking construction companies to sign up to four simple policies to achieve period dignity. 4. Sanitary products provided in a dispenser in a discreet location and ideally free. The first site to endorse Unit’s campaign was the Glasgow University campus being built by Multiplex and a campaign pack to ensure other sites follow Multiplex’s lead is in the hands of all the union’s reps.
Construction is facing ever growing skills shortages and by effectively excluding half the population means the industry is trying to tackle the problem with one arm tied behind its back. Sadly, while there is a shortage of construction apprentices across the board it remains much more difficult for women applicants to secure a training berth. In total nine per cent of male applicants eventually secure a construction apprenticeship while the figure for women is just six per cent. Achieving period dignity for women in construction is a small first step to making the construction industry fit for purpose for women in our industry. Employers who step up to the mark and do what is right have a far greater chance of retaining and attracting a skilled workforce. Unite will not stop campaigning until women construction members achieve full equality in this sector. This comment first appeared in the Morning Star on Tuesday (January 29).